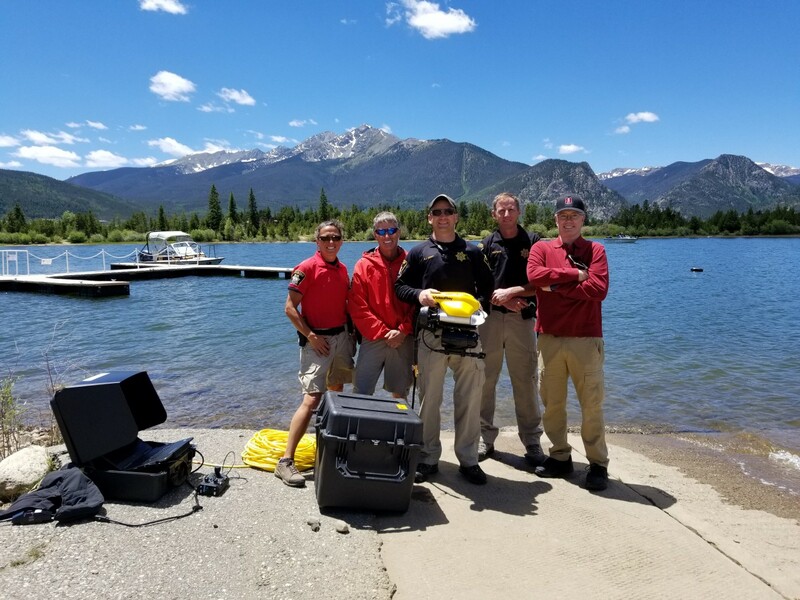 The Summit County Sheriff’s Office, located in Summit County, Colorado, first used their new Pro 4 with BlueView sonar, manipulator arm, and a recovery and retrieval kit in May of 2018. The Summit County Rescue Team also received onsite training to get certified in properly flying and maintaining their new system, and their diligence paid off in only a few weeks. VideoRay previously covered the story about Summit County’s first successful victim recovery in a neighboring county in Colorado. Summit County began looking into updated technology and methods for recovery after a tragic accident in 2008 that involved a resident from Frisco. After a 3-day search, the victim was recovered, thanks to a side scan sonar. The victim’s family created a memorial fund to help raise money to buy a side scan sonar for Summit County. With the use of the side scan sonar, the Summit County Water Rescue Team and Sheriff’s Office had located eight other missing drowning victims, but they were always concerned that they may not be able to recover the victim as the reservoir was hazardous for divers at an attitude of 10,000 feet and 300 feet deep at its deepest point. After a victim was located, would they be able to fully complete a recovery mission? Without specialized equipment and highly trained divers, the dive team’s operational depth was limited to 80 feet. With that in mind, the Team began researching ROV’s to complement the side scan sonar in 2010 and selected the VideoRay Pro 4 in 2016. In 2017, through a Grant from the Dillon Reservoir Board, Summit Foundation (Breck Gives,) and several private donors, Summit County purchased their VideoRay in2018. “Diving at altitude is dangerous, we can’t stay down for more than 15 – 20 minutes at a time. By having a tool like this available, we can quickly zero in on a body and spend more time on the recovery and less time searching” - Drew Fontana, Summit County Water Rescue Team President. In addition to the victim recovery in June, Summit County has used their system to find vehicle keys that fell from a boat ranger’s pocket into 13 feet of water, and a 4 hp outboard engine that fell off the transom of a sailboat into 45 feet of water. They were able to use the ROV’s manipulator to grab the engine while they lifted it up to the surface with the tether. Summit County has also assisted marinas in locating several dock anchors that had been missing for several years. For the future with their VideoRay Pro 4, Summit County is focusing on safety, closure, and exploration. Summit County wants to make sure their divers are safe as they still need their divers ready to operate at any time for a recovery. 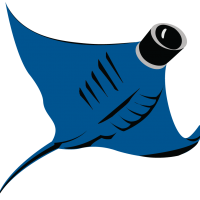 The VideoRay can assist divers, but it will not always be able to fully replace them. If the VideoRay can show the underwater conditions, the diver team will be able to plan the dive and mitigate any safety issues. Summit County also wants to bring closure to the families who lose a loved one. Having a trained K9, a side scan sonar, VideoRay, and dive team allows Summit County to utilize every tool they have to best accomplish this goal. And finally, they want to expand beyond recovery and use their VideoRay for exploration. They will be using the VideoRay to assist in checking dam outflow, cables, anchors, and walls. Summit County will also be using the VideoRay to investigate some sunken boats in depths over 100 feet below the surface.